Montreal Canadiens general manager Marc Bergevin seems to have made up his mind a few weeks ago. In a recent press conference, he announced that his current roster will remain intact, and that he will not move any assets to help this team this season. Before the season started though, he stated that his team was competing for a playoff spot. So the question becomes: with the team holding down a playoff spot, why would Bergevin come out publicly and say he will not be active on the trade front? Since May 2, 2012, the day that Bergevin became the general manager of the Canadiens, everything he has done has been kept under wraps. From management changes to injured players and to trades, everything has been as tight as Fort Knox. He signed P.K. Subban to an eight-year contract extension prior to the start of the 2014-15 season, came out publicly to say he was not going to trade the superstar defenseman and then traded him a year later. Early into the 2015-16 season goaltender Carey Price went down with a lower-body injury and was scheduled to be reassessed a few weeks later. Bergevin and management played a game of cat and mouse with the public, but Price ended up missing the Winter Classic and played in 12 games for the season. 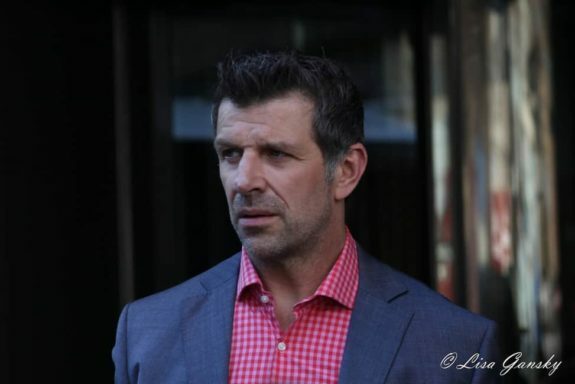 “Based on what I saw in Vancouver, the future of the Canadiens is very bright, I’m not going to start mortgaging the future.” Bergevin insisted in a press conference on Jan. 7. He did mention that he would listen to trades, but that a move would only be made if the offer was extremely appealing. The 2016-17 Toronto Maple Leafs are a near-perfect comparison to this season’s Canadiens. Those Maple Leafs were a young, fast team that was fighting for a playoff spot throughout the season. They added a veteran in Brian Boyle who helped them down the stretch and was a big reason why they took the Washington Capitals to seven games. The Canadiens could use a veteran body or two to help with the team’s depth and provide invaluable leadership to help this young core. Before the season started, Bergevin assessed his roster and realized that his team needed to get younger and faster. He did that, and so his press conference remarks are not off-brand. However, the one thing that he failed to mention is that this team is over exceeding. They are currently in a playoff spot and just five points behind the Maple Leafs for second in the division, and as good as Carey Price is, he is the team’s highest-paid player and cannot score goals. The problem for the Canadiens lately is that they have not been able to score a lot of goals. With a young, budding roster on the cusp of playing into the playoffs, this seems like the right time to listen to offers. There is no question the Canadiens are a young team. In fact, they are the league’s ninth-youngest team with an average age of 26.8. Most of the players on the current roster have not played in a playoff game. 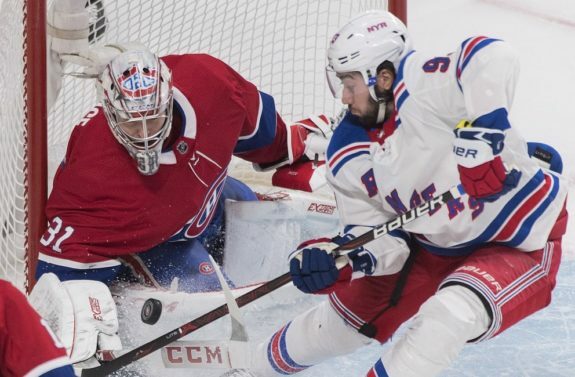 Only nine players, including Price, played on the team two seasons ago when they lost in the opening round of the playoffs to the New York Rangers. The idea that Montreal should just sit around and hope the best for this team is nonsense. Yes, they are a few years away from truly contending, but the play of rookie Jesperi Kotkaniemi, along with the sublime performances of Max Domi, Jonathan Drouin and Jeff Petry, should be enough to move the needle. 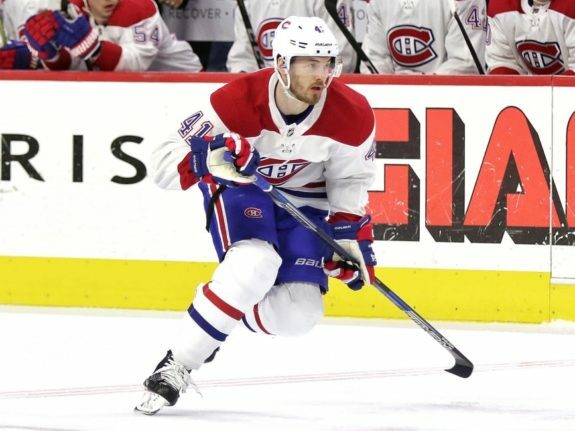 Arguably the best move Bergevin has made in his tenure with the Canadiens is the waiver signing of forward Paul Byron. The undersized forward from Ottawa was let go by the Calgary Flames in 2015 as a depth move, and in three seasons with the Canadiens, he has become one of the league’s most efficient shooters. It is highly unlikely that another Byron case will present itself, but there is no telling what players will end up on waivers. Some will argue that the Canadiens do not have what it takes to go far in the playoffs, and because of that, should hope to not make the playoffs but to take their chances with the draft lottery. Nevertheless, I always think back to a quote by Mike Babcock who once said that one playoff game is like 10 regular season games. My belief is that if you are a team on the rise, have a young core and a chance to participate in a playoff series, you take that chance 10 out of 10 times. If there was ever a team that could use the spark of a playoff series, it’s this season’s Canadiens.